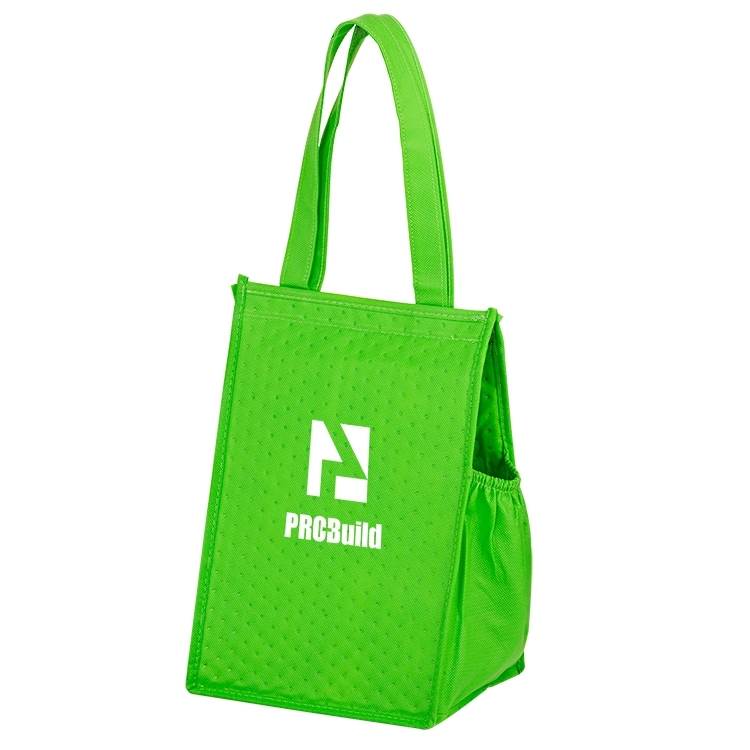 Our insulated tote is a great lunch bag. In addition to keeping your lunch warm or cold, it also includes a handy beverage pocket on the side. The hook and loop adhesive closure at the top will keep your lunch items secured. Add your log with up to 4 spot colors per side. • Maximum Artwork Imprint Area: 5” wide x 7” high on each side.